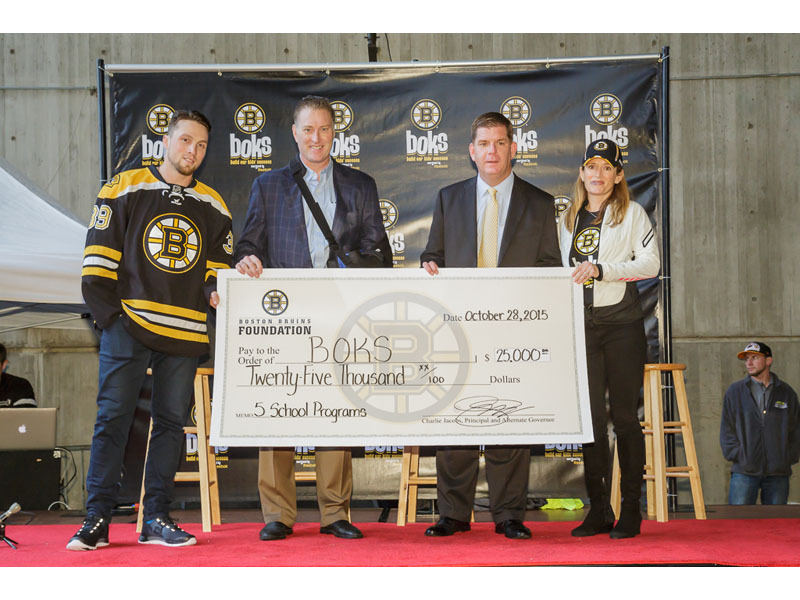 October 28, 2015 (Canton, Massachusetts) – BOKS​ (Build Our Kids’ Success) and Boston Bruins Foundation​ announced today that five schools in New England will receive funding to run the BOKS program for the 2015-2016 school year. The funding for the program, designed to support an active, healthy lifestyle in children, is being provided by the Boston Bruins Foundation and will cover stipends for two trainers per school, program equipment and participant t-shirts and incentives. ahead. The program aims to improve kids’ academic performance and overall health by promoting physical activity and nutritional education. BOKS provides two 12-week sets of curriculum developed to be run three days a week for 40 minutes before school. Earlier this year, a study was published in the Journal of Exercise, Sports, and Orthopedics highlighting the Physiological Effects of the BOKS Before-School Physical Activity Program for Preadolescent Youth. In this study, Dr. Wayne Westcott has proven what BOKS trainers and volunteers know and experience every day: BOKS gets kids fitter and healthier. Dr. Westcott, a prolific researcher, author, and educator in the field of fitness, studied the physiological impact of a nine-week BOKS program on its participants from the Weymouth Public School District in Massachusetts. 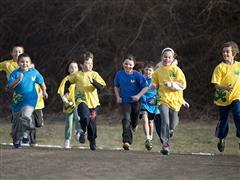 BOKS, Build Our Kids’ Success, an initiative of the Reebok Foundation, is a free before-school physical activity program. BOKS was founded on the principle Active Kids = Active Minds, and was created by a group of moms after reading Dr. John Ratey’s book Spark, which states that “exercise is the single most powerful tool that we have to optimize the function of our brains.” The goal of the BOKS program is to enhance academic performance and the overall health of kids through physical activity. The program, run by moms, dads, P.E. teachers and all other types of volunteers in local communities, is simple to implement. BOKS is currently in more than 1,500 schools around the world. The BOKS team has shared the stage with First Lady Michelle Obama to promote the benefits of being active and has forged important alliances with organizations like Let’s Move Active Schools, Shape America, Partnership for Healthier America, Blue Cross Blue Shield Massachusetts, Toyota, Boston Bruins and American Council on Exercise. To bring BOKS to your community, please visit bokskids.org​ for more information. Connect with BOKS on Facebook, Twitter and Instagram. The Boston Bruins Foundation assists charitable organizations that demonstrate a commitment to enhancing the quality of life for children throughout New England. The Foundation provides grants to organizations that meet the standards of its mission, concentrating on academics, athletics, community outreach and health. The foundation believe that focusing and developing these four areas in children's lives creates a solid foundation, strong support system and ultimately leads them to be an impactful member of their community.